Skin care and spa treatments are often what men and women turn to after a stressful week or event in their lives. However, skin care should be included in everyone’s ongoing routine with the same (or more) effort as that given to hair and nail care. These are all treatments you can learn to provide as a certified beautician, beauty therapist or aesthetician. 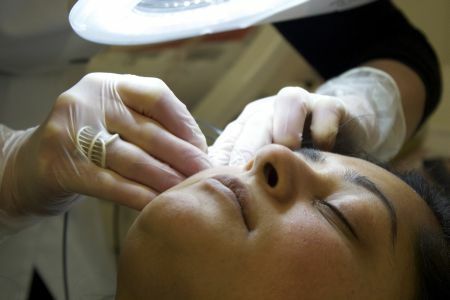 Beaulaz Beauty & Laser Training Center offers an excellent skin care course, along with other valuable instruction through tour Level 2 and 3 NVQ schooling. This training will teach you important things like: how to determine skin types, common skin care products, different skin diseases, effective treatments, exfoliation techniques, a brief skin care history, skin scanning, and more. What happens after I finish the skin course? Once you finish your actionable and profitable Level 3 Skin Care Course, you will also have extensive knowledge about anatomy and physiology, creating a great foundation for learning additional new skills. This is just one more asset that will be vital to your growing career as a salon technician or owner. Not only that, but after you master topical skincare, you will be well on your way to studying and qualifying for electrolysis and laser and light therapy classes. Beaulaz teaches comprehensively for your best results, and you can reach your professional potential with our NVQ various level courses. You already know that the more services you can offer, the better off you’ll be from a professional standpoint. Anytime you are turning a customer away because you simply can’t perform a treatment they’re asking for, you’re saying “goodbye,” to money that should be going into your pocket. And ultimately, your clients value quality and convenience above all else. If they find another technician who offers the same services as you, along with ones that you don’t, there’s a reasonable chance you will end up losing that customer’s business. Don’t let this happen. Inquire today about class schedules, availability, and content for a BeauLaz Skin Care Course today.